The first member of his family to go into medicine, Dr. Gardner was born and raised in New London, Conn. He earned his undergraduate degree in psychology from the University of Rochester and medical degree from State University of New York’s Upstate Medical Center. Dr. Gardner completed post-education with internship and residency at Columbia University’s Presbyterian Hospital in the city of New York. 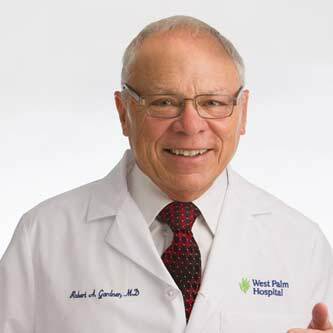 In 1973, Dr. Gardner relocated to Palm Beach County to join Palm Beach Medical Group (joining the medical society in 1974) where he practiced general and vascular surgery until 1991. In 1991, he “came home to my one true love, which is breast issues” and founded his private practice, Palm Beach Breast Institute in West Palm Beach. Over the years, Dr. Gardner has helped establish many of the area hospital’s breast centers. From 1992 to 1995, he founded and was director of the Center for Breast Health at St. Mary’s Hospital and from 1996 to 2010 served as director at Center for Breast Care at West Palm Hospital. Dr. Gardner is currently affiliated with those two hospitals as well as Good Samaritan, Palm Beach Gardens Medical Center. At Palm Beach Breast Institute, Dr. Gardner and his staff offer comprehensive care for women with concerns about breast disease. This includes prevention, education, early detection and proper diagnosis, outreach programs, treatment options, and support groups. Dr. Gardner is the only physician in Palm Beach County Certified in Breast Ultrasound by the American Society of Breast Surgeons. 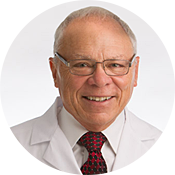 Always one to stay ahead of the pack, Dr. Gardner is continuously involved in clinical studies and has had his research work published in various medical journals. He’s the father of five – Heather, Andrew, Mark, Erik, and Shana – and the founder of The Robert A. Gardner, MD Foundation, Inc., a not-for-profit that funds breast cancer public awareness campaigns and research. 9. 1988 Established The Robert A. Gardner, M.D., Foundation, Inc. formerly known as The Breast Center of the Palm Beaches, Inc. non-for- profit corporation that works to raise funds for education and research. 2000 Breast Seminar Series, Laszlo Tabar, M.D. The National Consortium of Breast Centers, Inc.